New wooden products... 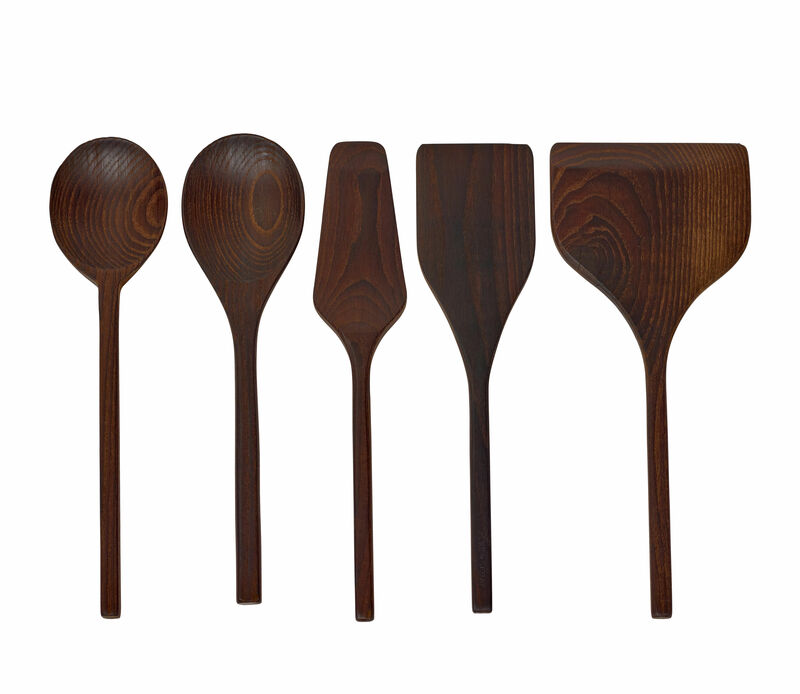 The Pure collection from the ceramicist, Pascale Naessens is expanding with this set of kitchen utensils. 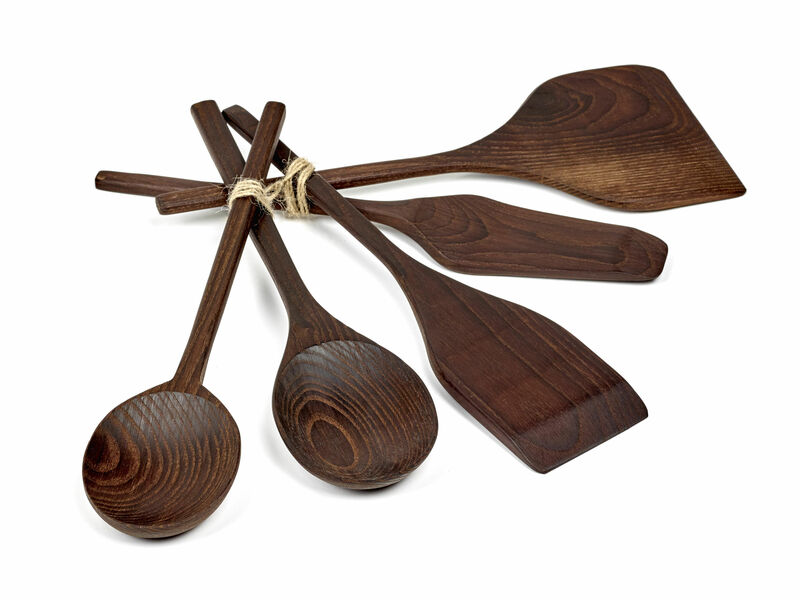 Made up of five items, this set includes two spoons, a server as well as two different-sized spatulas. 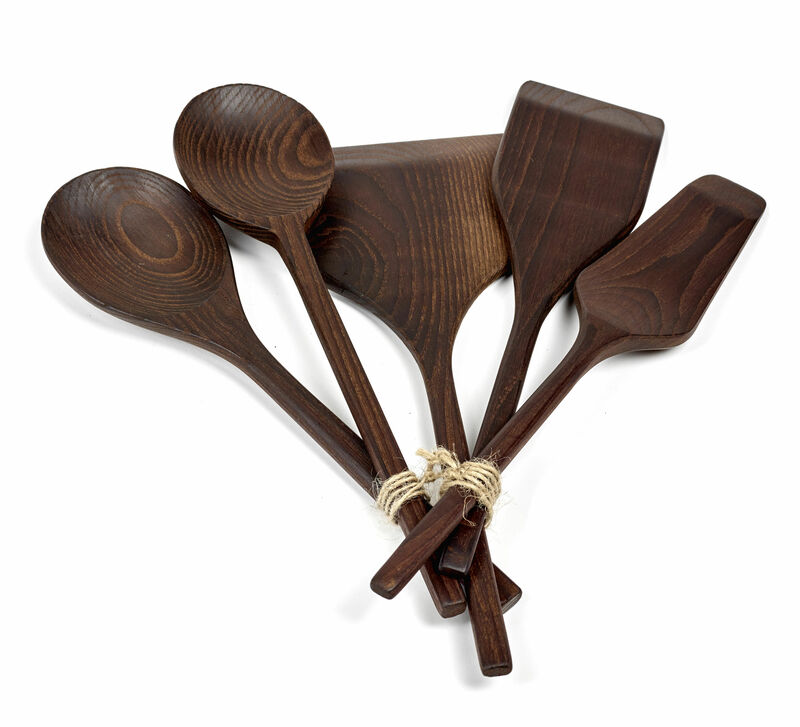 Authentic and welcoming, these kitchen utensils are made from carbonised ash wood with natural oil. According to the Belgium creator, "Working with beautiful, well designed items is a source of happiness". 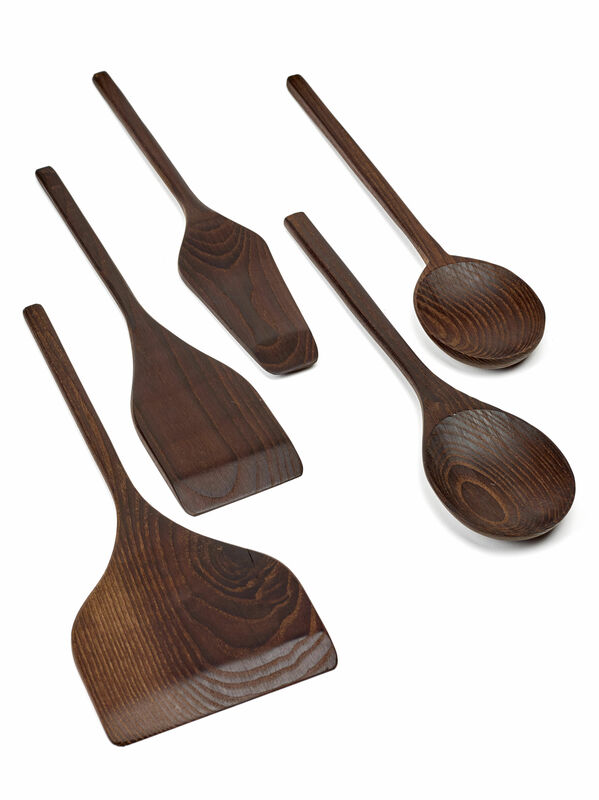 Thanks to their innovative concept and an exquisite design, this set of kitchen utensils perfectly fulfils this function. 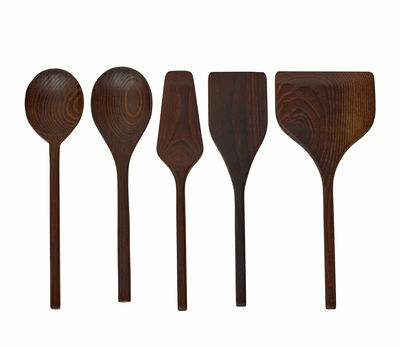 It will be equally as useful in the kitchen as it is when serving your different dishes at the table.